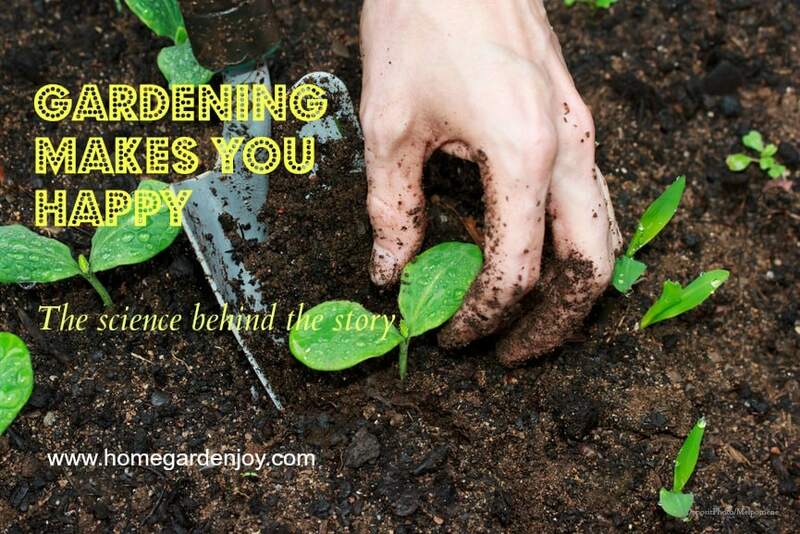 Gardening makes people happy. It brings joy. And now science proves it. I’m a little biased. I made a magnet for my refrigerator that says, “My garden is my happy place” and I mean every single word of it. I’m happiest when I’m outside, but I’m ecstatic when I get to garden for a few hours each day. The soil, the sun, the birds, the flowers, the bees…it just makes my soul sing. So I wasn’t surprised to see a headline on my Facebook feed this week about gardening making you happy – and science proving it. The science? A little soil bacterium called Mycobacterium vaccae activates serotonin-releasing neurons in the brain. That means more serotonin circulating among the neurons, and more for them to pick up and use where needed. Happy bacteria! Healthy bacteria! Dirt is good for you! Inhaling m.vaccae gets it into your system. You can inhale it by walking through the woods, gardening, or playing outside. Tests indicate the bacterium eases depression, anxiety and inflammation. What I find amusing are the reactions and comments under articles about the study. “Eew! Gross!” people write – as if their bodies are completely sterile areas. Unless you’ve been living under a rock, you know that your body is teeming with bacteria. It colonizes your skin, your organs, your intestines. Without it, you would die. Yes, you read that right. Some bacteria helps you digest your food; others keeps you healthy! I’m not surprised that scientists have identified a mood-enhancing bacteria lurking in the soil. A quick walk in the woods nearly always makes me happy, and gardening? One day playing in the dirt is as good as a present to boost my mood. Here’s to bacteria! Go good bugs! I love to see how our hobbies impact our health and wellness. Thanks for pointing this out. I may have to go plant something now! I definitely think gardening makes me happy. Especially seeing beautiful flowers and plants grow from tiny little seeds. It gives me a great feeling of accomplishment to know that I took good care of them to help them grow. Thanks so much for sharing at Inspiration Thursday! I love gardening ! Wish I had a space for that. Interesting to know that people take topics like this and do their research. It’s great to be co-hosting with at #HomeMattersParty. 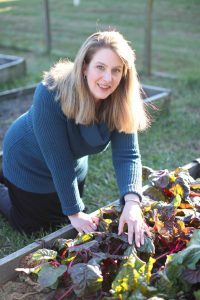 Interesting…I gardened-no, I slaved- for years in m mother’s garden, but I was never so happy as the day I got my own home and didn’t have to do it anymore! I do enjoy being outdoors, though. The sunshine is invigorating, as well as if I’m lucky enough to find a patch of woods in my little bit of suburbia. Thanks for co-hosting with me at the #HomeMattersParty ! How cool! I’ll be the first to admit that I have a black thumb but the one year that my son and I grew tomatoes together was so much fun, plus he actually ate them! Fun to co-host with you at #HomeMattersParty !